All residential contractor licenses in Georgia must be renewed biannually. The next renewal date is June 30, 2020. The Residential and General Contractors Licensing Board is encouraging all licensed contractors to renew before the deadline to avoid any delays that may be encountered as the deadline approaches. Licensed contractors can go to the following website: http://sos.ga.gov/index.php/licensing/license_renewal_instructions2 to renew on-line. In the alternative, licensed contractors can call 404.463.1100 and submit a request to have the renewal application mailed directly to them. However, keep in mind that renewal applications sent by mail are individualized for each builder with a bar code. The Residential and General Contractor Licensing Board has established a $100 nonrefundable renewal fee, which can be paid by credit card on-line. Once a renewal application has been submitted, a builder’s status will be shown on-line as “renewal pending.” According to the Secretary of State’s office, a builder can continue to work and contract while under this status. There is a late renewal fee of $200 for renewal applications submitted between July 1, 2020 and December 31, 2020. However, during this extended renewal period, a builder’s license is considered lapsed and not valid. After December 31, all licenses that have not been renewed will be treated as revoked. At that juncture, reinstatement is at the discretion of the board, which could require the submission of a new application and/or the re-taking of the licensing examination. The renewal application includes a series of yes/no questions concerning citizenship, criminal offenses, disciplinary actions, financial condition, judgments, payment of taxes, bankruptcy and insurance coverage. Depending on the answer provided, some of the questions may require the submission of additional documentation. For example, if license holder answers “yes” to the question concerning criminal convictions, a certified copy of the court disposition will need to be submitted to the board. If no additional documents are required to be submitted, the application may be processed within twenty-four to forty-eight hours. If additional documentation or letters of explanation are required, it could take much longer and may even require board review. Even if not specifically noted on the renewal application, the Board retains the right to request documentation pertaining to any of the questions included in the renewal application. If a license holder has previously asked to be placed on inactive status, the license holder will need to reactivate the license prior to renewal. The renewal of a qualifying agent license automatically renews the corresponding company license. It does not, however, renew all of the other qualifying agent licenses for that same company, if the company has more than one qualifying agent. Because each company may have multiple qualifying agents, each qualifying agent will need to renew their license separately. If you have any questions or encounter any problems during the renewal process, call the Secretary of State call center at 478.207.2440. Continuing education credits are being required for renewal for residential basic and residential-light commercial contractors. 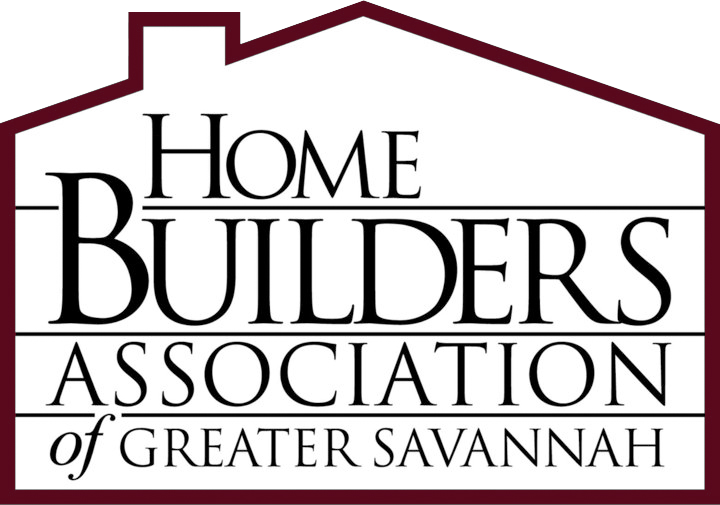 Residential basic contractors must have 3 hours of continuing education and residential-light commercial contractors must have 6 hours of continuing education per year. Please ensure that the Board has your current email address on record so that you may receive your renewal notification. If you are unable to receive email notifications, a renewal reminder postcard will be mailed out approximately 90 days prior to the expiration date of June 30, 2020. The Georgia General Assembly enacted legislation to help protect consumers by requiring that certain types of residential and general contractors obtain a license. This law became effective on July 1, 2008. This law, O.C.G.A. § 43-41, may be found on the Board’s website at www.sos.ga.gov/plb/contractors . This law requires that contractors prove that they have met minimum professional standards in order to be licensed in Georgia. While the law allowed for an initial exam exemption period for those contractors who could prove their qualifications and financial requirements, contractors must pass a two part written exam prior to obtaining a Georgia license. 1. Verify that the person is properly licensed by visiting our website at https://secure.sos.state.ga.us/myverification/. You may search by name or by license number. 2. Get recommendations from friends and neighbors and check any references given to you by a prospective contractor. You may want to check with your local building permitting official to verify that this person’s work history in your community has been favorable. 3. Ask the contractor for proof of general liability insurance.Working with many Florida seo companies has allowed us to know the right legal documents. The contractor may also be required to maintain worker’s compensation insurance depending on the number of employees that he/she has and other factors. The name on the insurance should correspond with the name of the licensed individual or business. 4. Obtain a written contract for all work that includes specific details of the work to be done, materials to be used and final clean-up to be done when the project has been completed. The contract should include a completion date and payment schedule. 5. Georgia law and board rules require that new single family residences be given a written warranty. Board rules outline the minimum requirements for a written warranty. These rules may be found at www.sos.ga.gov/plb/contractors. 6. Never pay the entire cost of a project up before the work is complete. 7. Georgia law does allow an individual to obtain a building permit to build his/her own home or building, and the law outlines under what circumstances this may be done (See O.C.G.A.§ 43-41-17). 8. If a contractor tells you that you can save money by obtaining your own building permit for a project that you are hiring him/her to complete, BEWARE! The person or business that obtains the permit assumes most of the liability and insurance requirements for the project. If you do this and have a problem, you may not have any legal recourse with the contractor and any unpaid bills related to that project may fall on you. 9. Consumers may file a complaint against a licensed contract online via the Board’s website at www.sos.ga.gov/plb/ , or by submitting a written complaint to the Board office. Keep in mind that the Board can only address issues in which there was a violation of state law(s) or board rule(s). The Board considers all complaints which are filed. Should the Board determine that a complaint is valid, it may choose to take disciplinary action against the licensee which may include a private or public action including probation, suspension or revocation of the license. There may be limited recourse for complaints filed against contractors who handled projects prior to July 1, 2008 as this was the date that the law became effective. • A person going door-to-door selling their services. • A person who offers services for a short time only, which makes consumers feel rushed and unable to research the contractor. • Refusal or reluctance to set out complete and specific contract terms in writing. • Lack of permanent and verifiable name, address and phone number of the business. • Pressure to pay for more than half of the cost up front. 11. Certain types of contractor services are considered specialty services and do not require that the person be licensed. These include roofers, painters, brick masons, and more. A complete list of specialty contractor services may be found on our website. 12. Certain subcontractors do require licenses for their particular jobs. These include electricians, plumbers, utility contractors, landscape architects, HVAC, and others which may be found on our website at www.sos.ga.gov/plb . 13. Should contractors split jobs into phases? If the intention is to circumvent the law, absolutely not. For example, Limited Tier General Contractors have a $500,000.00 limit per contract. They should not be allowed to enter into multiple contracts in order to build a larger project than is allowed. 14. Is it legal for a church to construct its own building? No. OCGA § 25-2-13 states that certain buildings and structures, because of construction or use, may constitute a special hazard to property or to the life and safety of persons on account of fire or panic from fear of fire. This law mandates which types of structures must be constructed by a licensed contractor. The appropriate license classification should be used for such projects because it is open to the public, and not for individual use. 15. May a contractor bid in another name other than as licensed? No. Bidding in a name, other than as licensed, is considered unlicensed activity. Even if the contractor owns both companies, he/she must bid in the name as licensed. A contractor must hold a license BEFORE he/she offers a price, negotiate, contract, bid, etc.